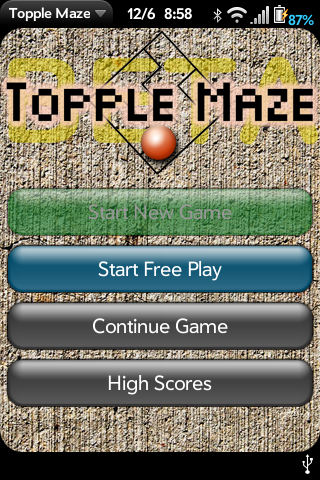 Topple Maze is an accelerometer based game for the webOS operating system. This game is currently BETA. It randomly generates mazes, and the mazes get harder as the game progresses. Currently there are 40 levels.